Picked up a used Cobra 29LX from a pawn shop. Found a 4' antenna at my shop and fabricated an antenna mount for my jeep XJ. CB power and ground are ran straight to the battery, using a 18' coax cable with a firestik stud. The best tune I could get was 2:2 with the built in swr meter. I'm not able to transmit but can hear others talking although not that great. 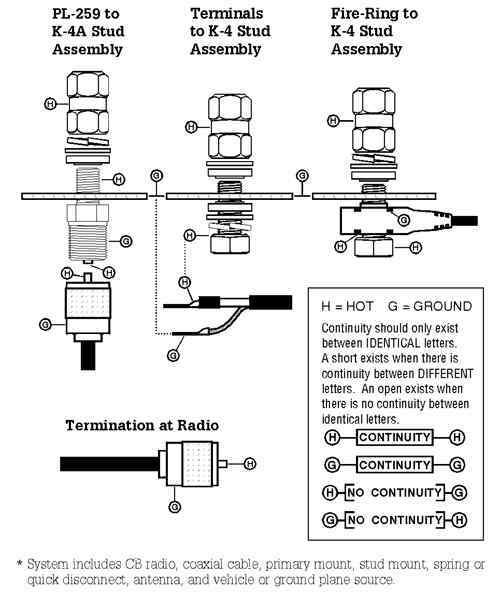 I found a diagram about checking the connections for continuity and found with my coax cable connected to the radio I'm shorting between the outer connector of the coax and the antenna. Unplugging the coax from the radio, I get an open. My ground plane is well grounded. Am I missing something or is the CB radio grounding the coax hot side internally? Any help would greatly be appreciated. Not a guru by any stretch. There should not be continuity between the center conductor and the shielding / fittings. Cables are fairly fragile, even bending them too sharply can cause a problem. Try a different cable. Thanks for the quick reply. 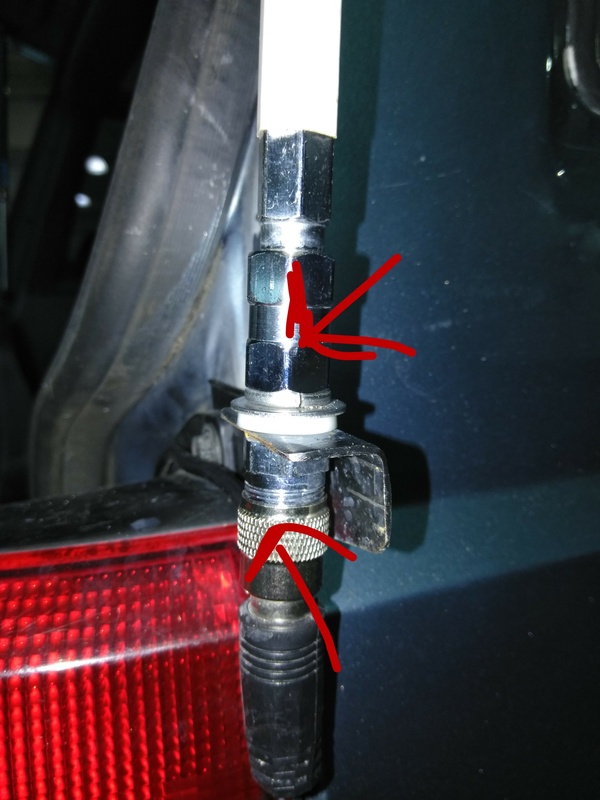 With the coax disconnected from the radio, I get no continuity between the center pin and the fittings. However as soon as I plug it back in is when I get the short I've checked the cable at both ends and have verified it's not shorting internally. Only when connected to the radio. With the cable connected to the radio, but not the antenna, you get continuity? No resistance at all? Don't think I've tried that way yet. Will try that and report back. Got it figured out. The Cobra 29 was grounding the hot lead of the coax internally. I got it from a pawn shop so that probably explains it. I even bought a new adjustable firestik today and the SWR readings didn't even flinch. 3 different lengths of antennas and no change in SWR was very questionable. Thanks for the help! The reviews on Amazon for that model Cobra are not favorable. Any Tucson Gurus out there. Any 4-banger gurus out there? Static on radio after new speakers? Any Audio gurus? Any electronics experts? Or flashlight gurus? any corvette gurus in here?